Not that I would know, but taking apart a Rubik’s Cube and putting it back together again is sure to cause a certain amount of stress in the plastic parts over time. 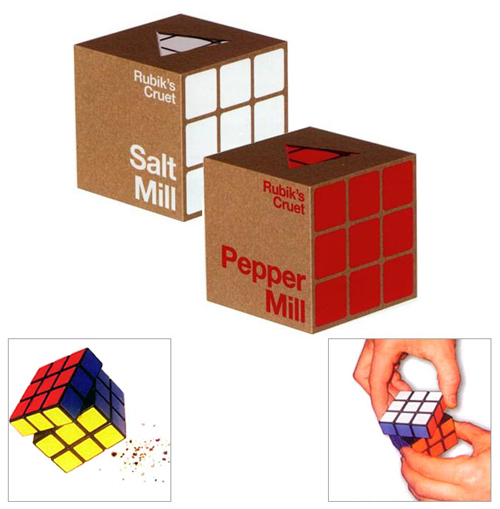 While such an activity may facilitate in the ‘solving’ of the cube, it does nothing for having it stay a cohesive whole during use. 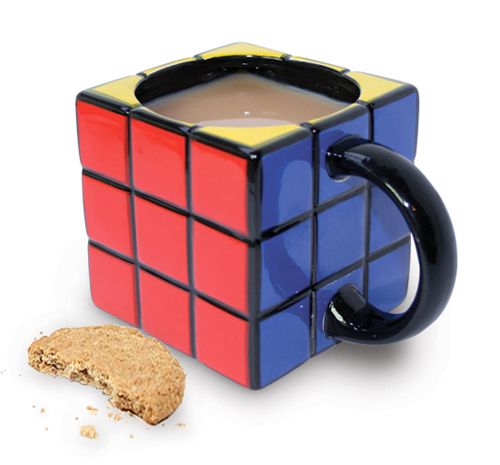 If you’re looking for a gift for compulsive ‘cube-solver’, perhaps this Rubik’s Cube Mug will do. 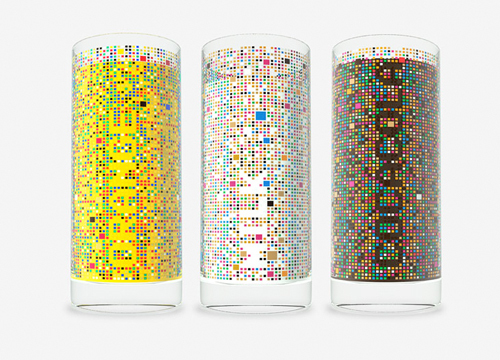 While the mug won’t actually need any solving, at least it won’t fall apart in your hands. Puzzles fire the imagination; food fuels everything else. (Well, food ultimately supplies the fuel for everything, but hey, who’s counting?) To a young mind, food that is shaped like something it is not, can be a spark leading to bigger and better things in life—or maybe they just hate crusts. 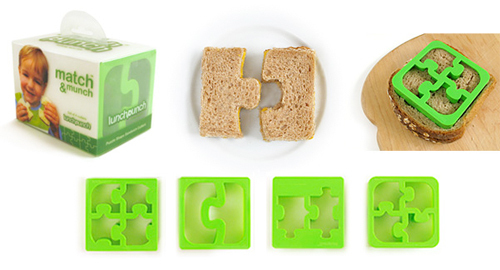 Either way, the Lunch Punch Match & Munch and Critter Cutters have them covered. Feeding your child with the tried and true ‘airplane’ method is all fine and good (it is tried and true for a reason), but for serious food fun it may be time to think of a more grounded approach. 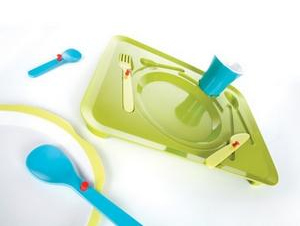 The Child Puzzle Tray by Wendy Boudewijns for Royalvkb practically guarantees your kid will be distracted at feeding time. Considering children and how they generally feel about their veggies, that’s probably a good thing. Plus, it all just fits together so nicely when done. Available at Unica for $66; no ‘vroom’ sounds included or needed.